PORT-DE-PAIX, Haiti — Thousands of people along Haiti’s north coast dragged mattresses and chairs outside Monday, fearing new aftershocks after a 5.9 earthquake killed at least 12 and injured 188 over the weekend. 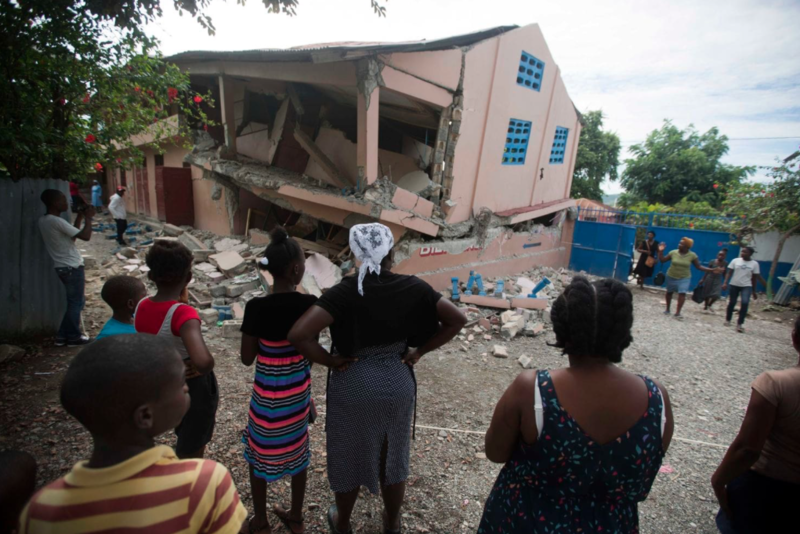 Many wondered how they were going to rebuild from Saturday night’s quake and a strong 5.2 magnitude aftershock on Sunday that had residents in the coastal city of Port-de-Paix and elsewhere worried about returning to their cracked cinderblock homes for fear they would collapse. Sunday’s aftershock caused panic on streets where emergency teams were providing relief to victims after cinderblock homes and rickety buildings toppled in several cities. The U.S. Geological Survey said the epicenter of the aftershock was located 9.8 miles (15.8 kilometers) north-northwest of Port-de-Paix. Haiti’s civil protection agency said at least eight people died in Port-de-Paix and three people died in the nearby community of Gros-Morne in Artibonite province. Another person died in Saint-Louis du Nord, Communication Minister Eddy Jackson Alexis tweeted.